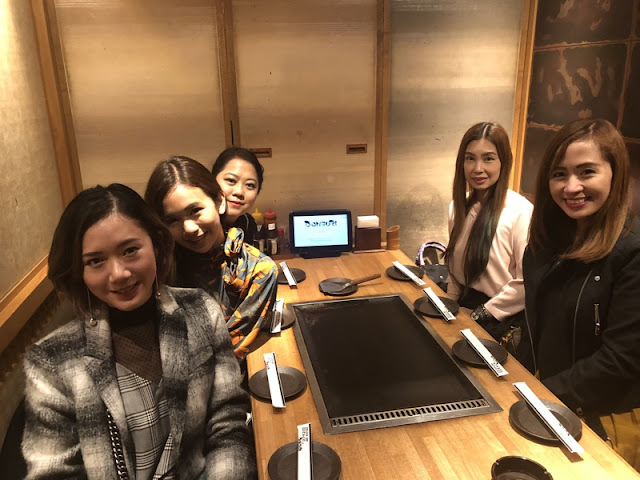 Our journey in one of Japan's leading manufacturer of products designed for women. Wearing Wacoal GOCOCI bra. 😍 It has a comfortable fit without wire, hooks or adjusters. Designed with soft, smooth fabric that allows the body to move freely. Features peanut shaped pad that gives comfort and beautiful bust silhouette at the same time.Also, designed to help prevent unwanted line on outerwear. Perfect for travel. Back in my younger days, I have always dreamt to travel the world – go to places that I can only see on TV, pictures and stories found in books and experiences of my peers truly mesmerized me. Im a natural wanderer by heart, I must say. Its such a blessing that I don't just get to travel but I have an opportunity to inspire and get recognized in doing so. Such an awesome feeling. 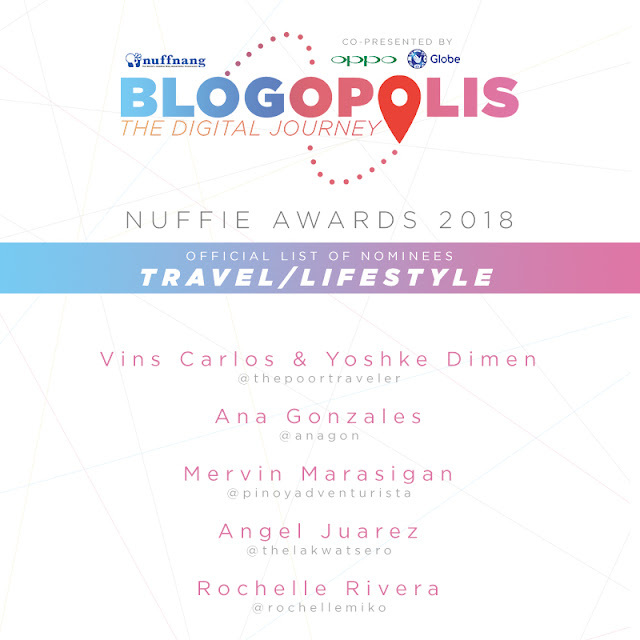 Having been nominated as #NNWanderWarriorRochelle at #NuffieAwards2018 #Blogopolis2018 is unbelievable! I couldn’t be more grateful for this recognition because the nomination itself is a remarkable sign that all my hardwork has touched many people, my social media followers. My gratitude to each of my supporters who never get tired of reading and checking out my blog contents and follow my stories of adventures. All of you are appreciated and I hope to bring more inspirations, continue to touch lives to bring out the innate Wander Warrior and Wonder Woman in all if us. What I’m about to share with you is from one of the most amazing trips I had. I love everything about it as well as the old and new experiences from this wonderful place. Konnichiwa all the way from Kyoto! You all know how close Japan is in my heart. 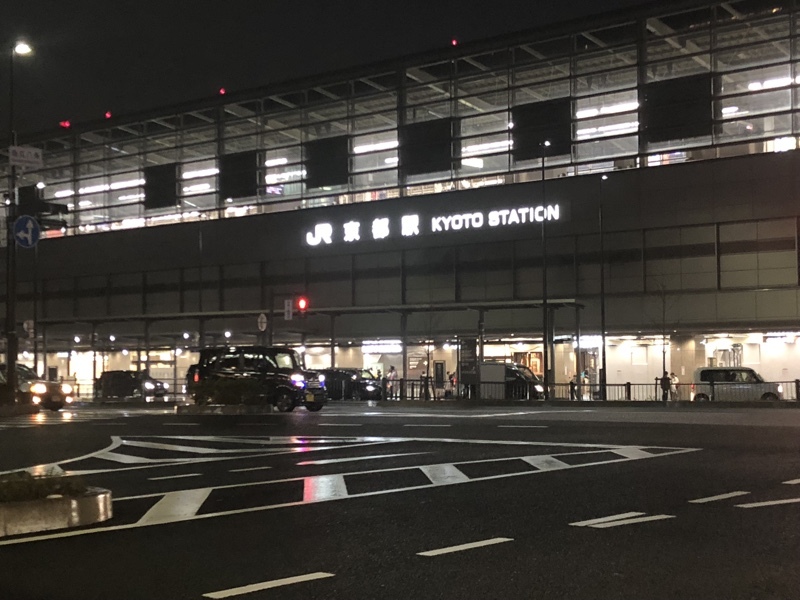 Just recently, I was in Japan for four nights for an exciting campaign. The country's leading manufacturer and one of my favorite brands, Wacoal, made all this possible. And I couldnt ask for more. Domo arigatou gozaimasu! Such a memorable experience to be with the bloggers I’ve been looking up to all these years and looking forward to work with. 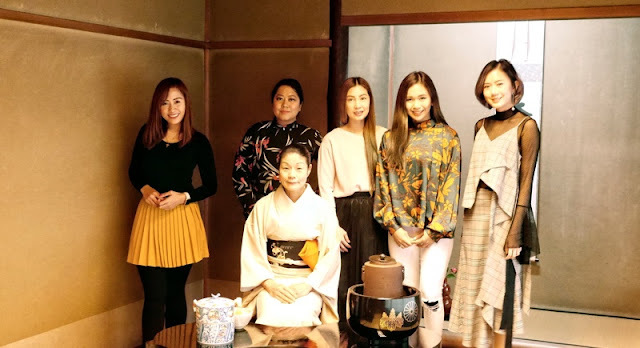 They have been my inspiration in the “blogging” world, and I remember how I wished to get to work with them someday and get to do what I love best. Dreams really do come true! 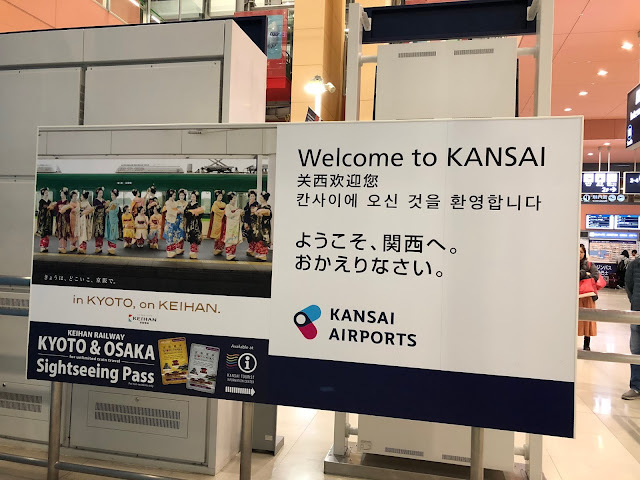 As we start our journey, we were greeted by nice and gentle cold weather when we arrived in Kansai Airport on March 18. Both the weather and my excitement made me feel the coldness of the breeze. 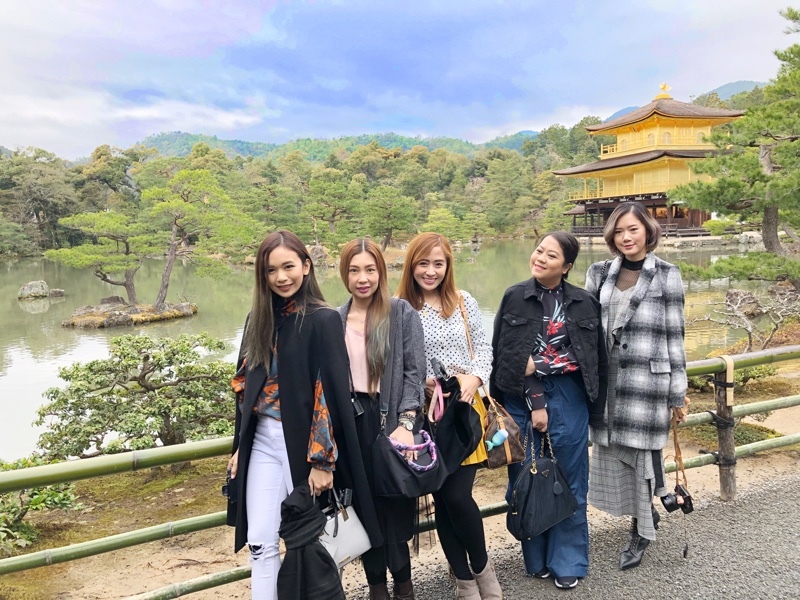 From Osaka, we went straight to Kyoto where our first set of events would happen. Ibis Styles Kyoto Station Hotel received us graciously and I love its strateuc location because it is just in front of Kyoto Station. • Omamori, which means amulet or charm. This Omamori is for “good health” from Tenryu-ji Temple in Kyoto. This is totally handmade by the hardworking artisans in Japan. I knew we’re off to a great Day 1! 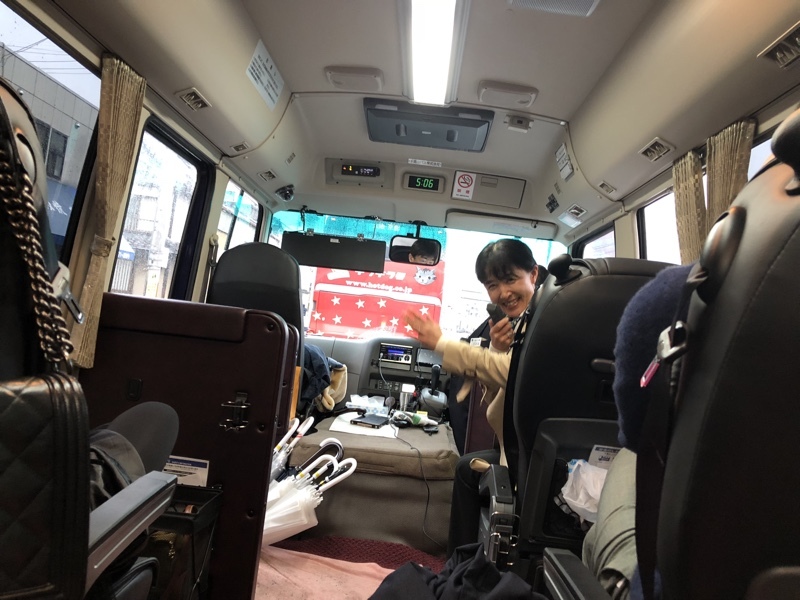 We woke up early to meet up with our tour guide, Ikuzo. She has an inspiring personality as evident in her Wacoal scarf that made her standout. She shared that she runs in the Tokyo Marathon and got the scarf from finishing it. I hope to have one of those attractive scarfs too! Obviously, #EverybodyLovesWacoal. 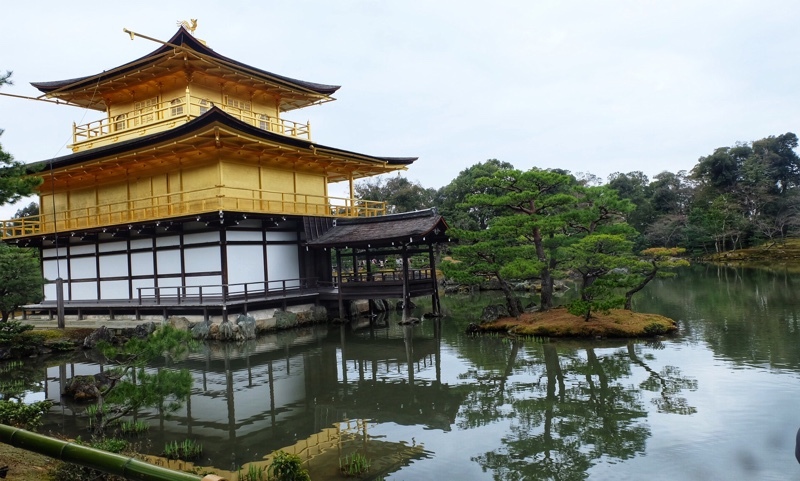 Our first stop was the Kinkaku-ji (Golden Pavilion). You could see how amazing this place is. Although it is not my first time here, I'm always astonished by its beauty like the first time I've been here. It's the same feeling all over again. But a beautiful one. 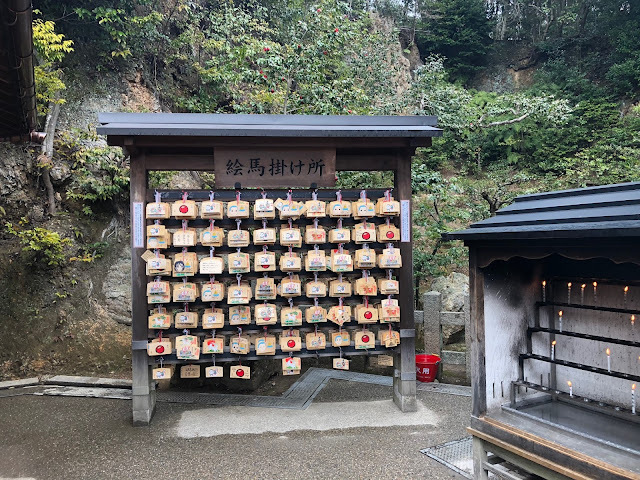 Have you ever seen these small wooden boards hanging at a shrine or temple? Japanese people believe that god will grant your wish if you write your wish on this Ema, literally means picture and horse in Japanese. You can buy the Ema at temples and shrines. O-mikuji are random fortunes written on strips of paper that can be found in shrines and temples in Japan. 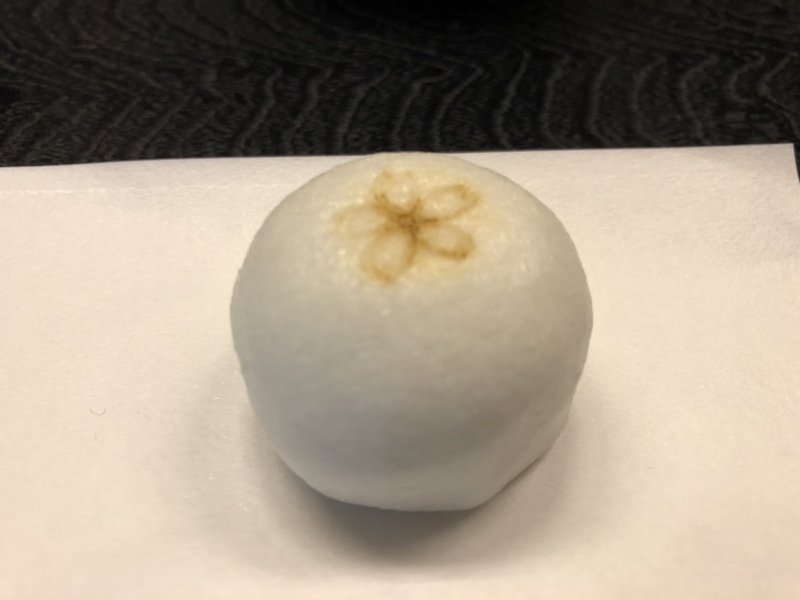 The o-mikuji predicts the person's chances of his or her hopes coming true, of finding a good match, or generally matters of health, fortune, life, etc. When the prediction is bad, it is a custom to fold up the strip of paper and attach it to a pine tree or a wall of metal wires alongside other bad fortunes in the temple or shrine grounds. A purported reason for this custom is a pun on the word for pine tree and the verb 'to wait', the idea being that the bad luck will wait by the tree rather than attach itself to the bearer. 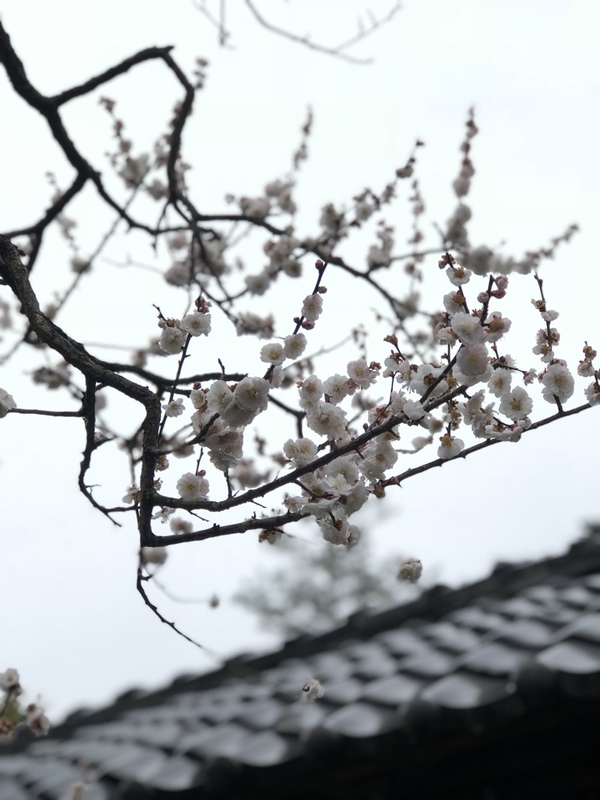 In the event of the fortune being good, the bearer has two options: he or she can also tie it to the tree or wires so that the fortune has a greater effect or he or she can keep it for luck. 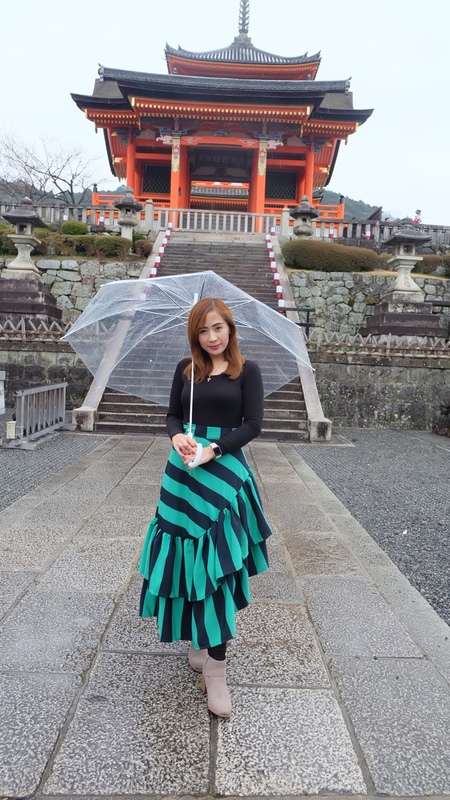 We were given some time to capture photos at Arashiyama and Togetsu-kyo bridge before heading for lunch. 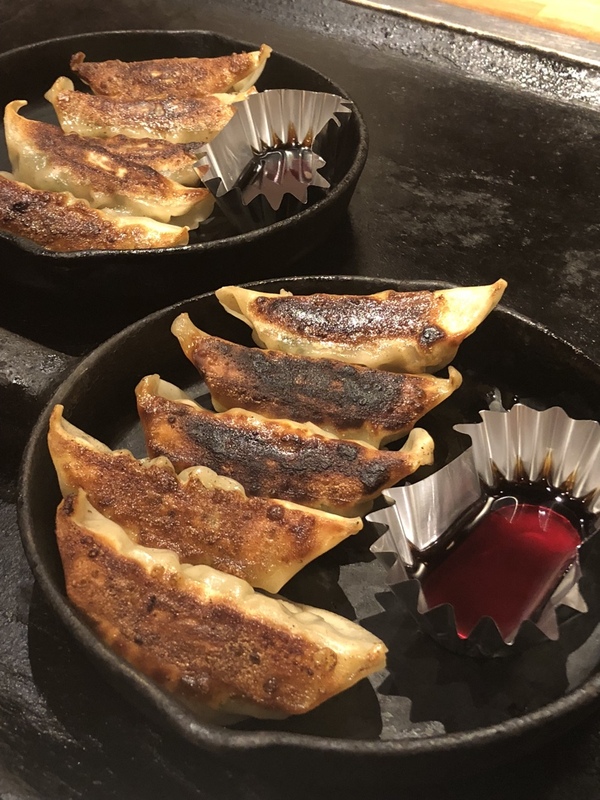 It's also a great time to appreciate Japan’s culture. 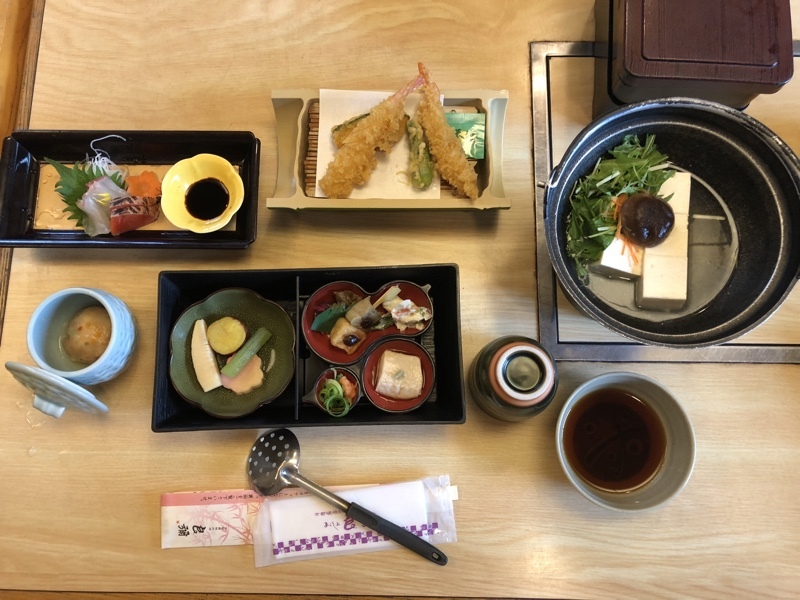 Wrapping up the first half of the day with some Japanese cuisines was heart warming. The delicious treat was provided by Okunoniwa restaurant which caters delectable meals for locals and travellers alike. It's never a bad time to have ice cream! Even if the weather is cold, it never bothered us anyway. 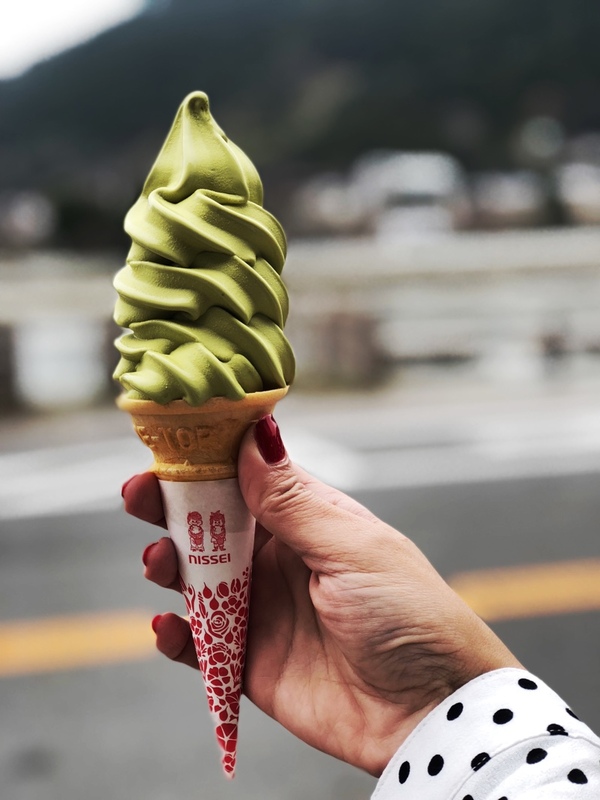 Who could say no to matcha ice cream? 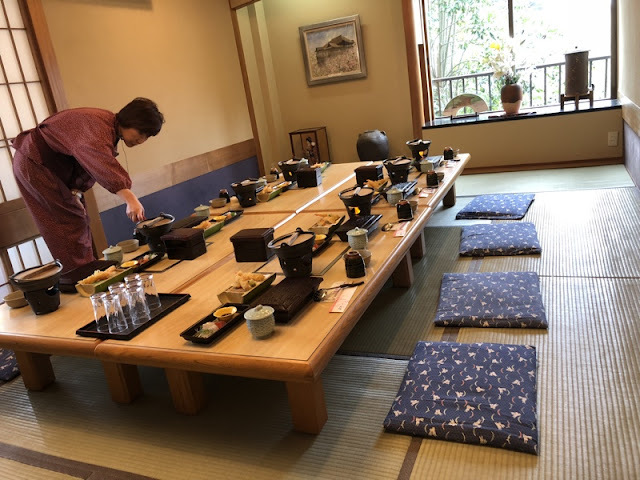 We can't miss the meditation and tea ceremony at the Kodai-ji temple. 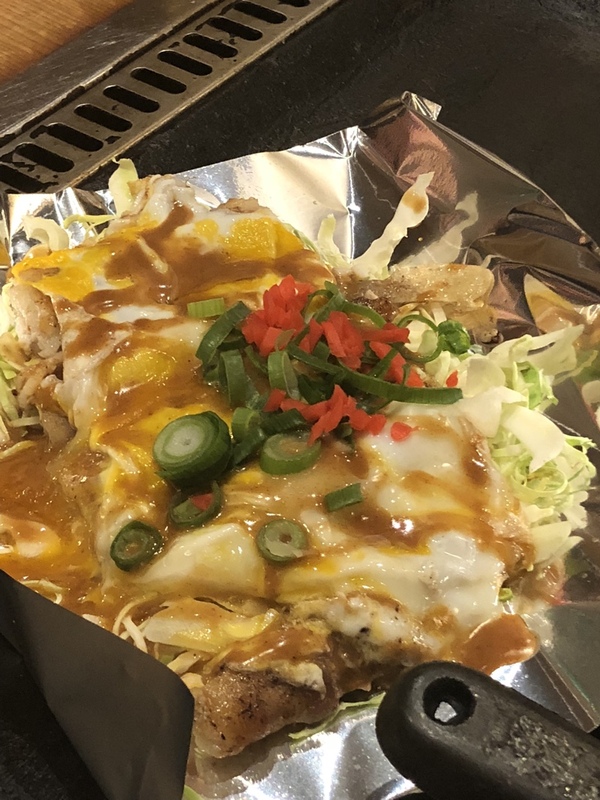 I always look forward to this experience because this is one of the core and essential flavors of the Japanese culture. One must do meditation from time to time because it doesn't just provide peacefulness in your mind but it heals the soul as well. The tranquility provides you a new perspective and fresh set of eyes about life and surroundings. The Japanese tea ceremony (Cha-no-yu), which is also called “Sadou” or “Chadou”, is one of the traditional Japanese cultural activities that help people enjoy tea with a calm feeling due to the unique philosophy and procedures involved. 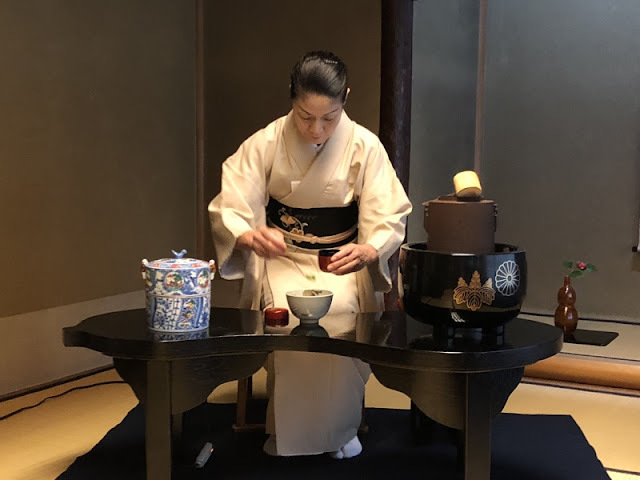 Eating sweets will make a green tea even more delicious, so we finish eating sweets before drinking powdered green tea. Then, the taste of the tea will be milder. 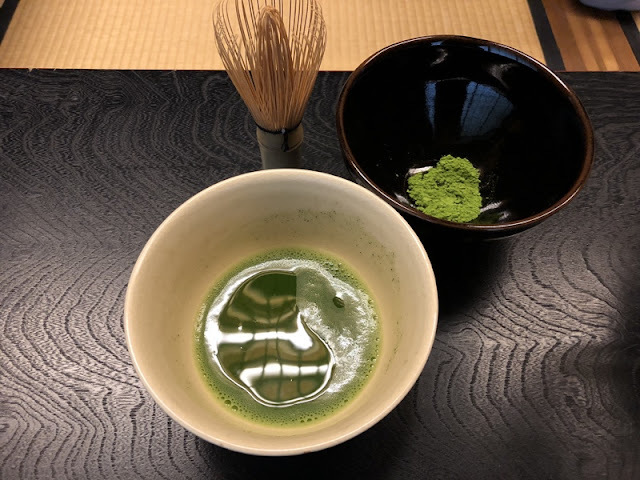 Using a traditional bamboo whisk, rapidly stirs the mixture to create a bright green paste, adding additional hot water and whisked to produce a thick, rich matcha tea. Though it rained, we were still eager and thrilled during our tour. We were all on the move for sightseeing and exploring every corner on foot. We didn't care about getting tired nor getting wet in the rain. What we have in my mind is the fun we are having. Kiyomizu-dera sits on Mt. Otowa in eastern Kyoto. Reaching the temple is in itself a bit of an uphill battle. It can get pretty tiring to climb the sannenzaka (road built specifically to get to temples or shrines) hills, but the souvenir shops lining the streets made it even more exciting for me. I was able to lift it alone :) Yay! As soon as you enter, you'll notice this rusted metal pole. It is called tetsushakujō, and it is a staff made of iron and tin. It was a gift presented to the temple by religious followers who train and study in the mountains, and it weighs over 90 kg. It's too heavy for most people to lift alone, but it is said it brings good luck to the one who manages to lift it. At the base of the tetsushakujō is a pair of takageta, traditional Japanese footwear. Being able to successfully walk in a pair of these is also said to bring good luck. 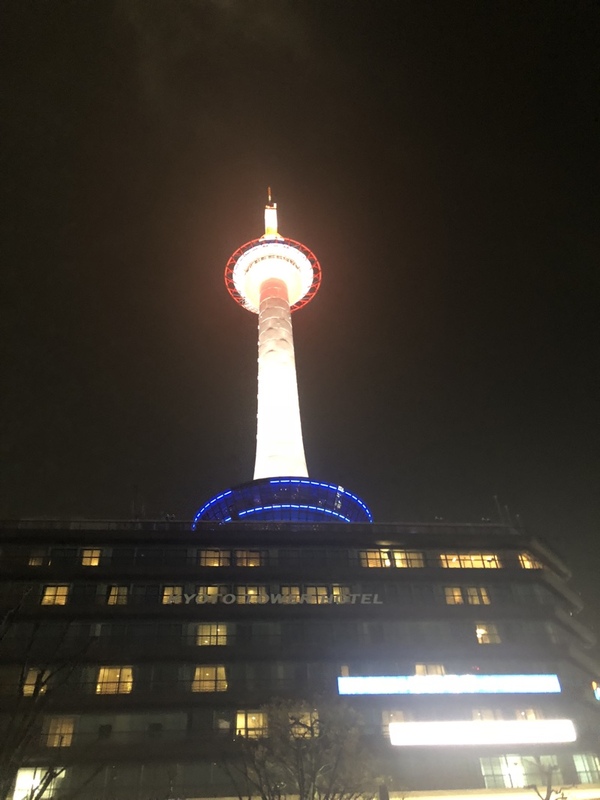 Standing 131 meters tall just across from Kyoto Station, Kyoto Tower (京都タワー) is Kyoto's tallest structure and a rare modern iconic landmark in the city famous for its ancient temples and shrines. We went back to the hotel at around 5:00 p.m. to prepare for dinner at Donguri restaurant. It was a perfect get together to call it a day. The lovely Liz Lanuzo of Project Vanity helped us reflect on things, places and persons to be thankful for to this kind of experience. Yes, travelling is definitely both rewarding and enriching. Need I say more? 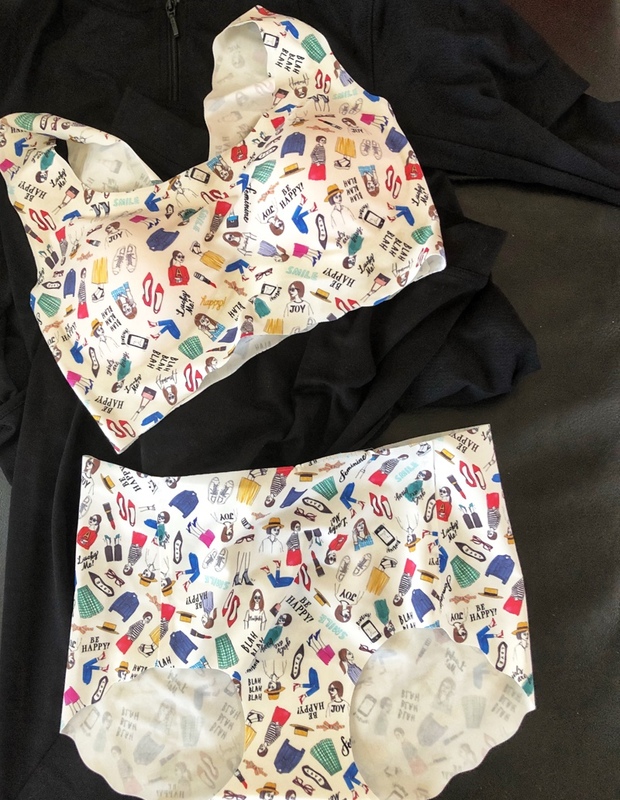 Stay tuned for my next posts on our Wacoal Passion for Product Tour. P.S. 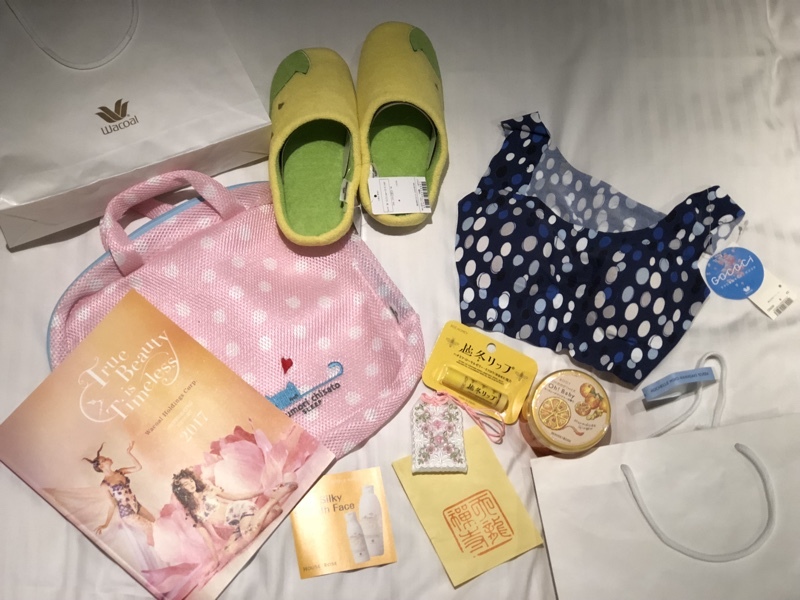 I wore Wacoal products during my entire trip and they were the comfiest thing ever. It’s such a confidence booster. Happy day Ms Rochelle, enjoyed reading and looking at your photos here. I'm always amazed on how you described food, places, people and things hehhe. 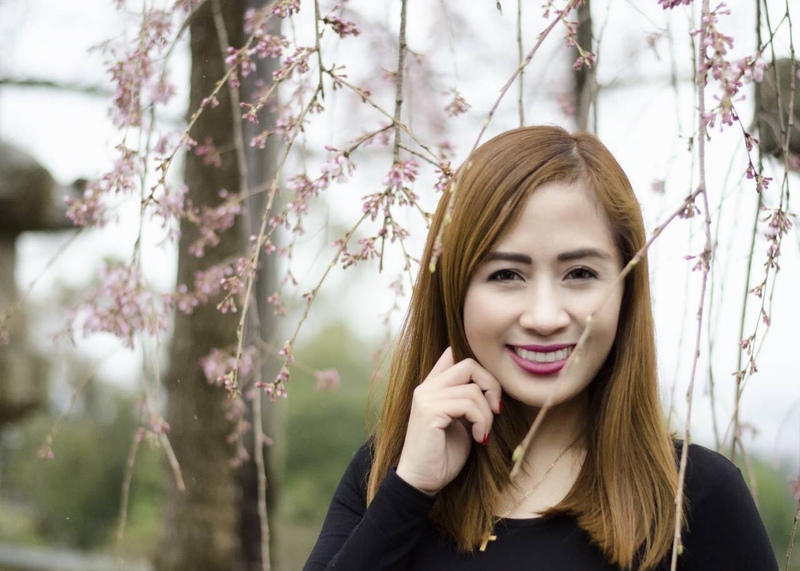 Idol talaga kita mag blog yung feeling ko kasama ako sa mga tours mo while reading your blogs. Me too I love Wacoal too di lang sa tibay coz of their quality and very comfy to wear. add pa yung magaganda ang designs nila nakaka attract talaga. 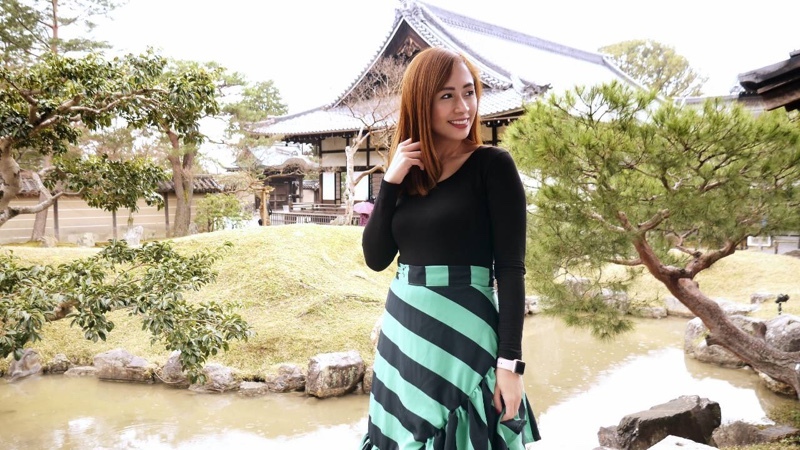 You are so blessed to po coz daming products nagta trust sayo and you deserved it kasi magaling ka nman talagang blogger kaya nga fave kita eh hehhehe. Love you miss Rochelle. Stay sweet. God Bless you always. Mwuah! Love this article. deserve mo tlga yung #NNWanderWarriorRochelle natuto pa kami about Japanese Culture!hehe 😍😍😍 Thanks for sharing your experience Ms. Rochelle. Thanks for sharing! And congrats po sa blogopolis.